We just released version 2.2. Our original schedule was to include both improvements to Collaboration and Getting Started. However we decided to split these into seperate releases. This release cfocused on Collaboration improvements. 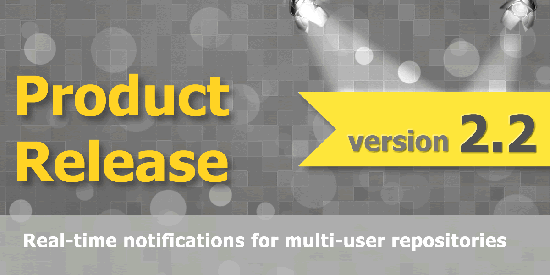 - We added real-time notifications when account users are modifying the same content. E.g. if people are editing the same model, diagram, component, iniative, framework. You will get realtime notifications when other people are accessing the same content, updating the same content or deleting the same content. This feature is primarily used by our multi-user paid subscriptions. - We added the ability to attach documents to components, one of our user requested enhancements. So when you add applications, servers or other components you can now link documents to these components. - We also fixed a bug that affected displaying of the default TOGAF frameworks in the related section. For some users these sections might have appeared empty. Please check out our last release and as always email support@eacomposer.com for any enhancements you would like to see (or use our Support forums to post requests). The next release will be all about Getting Started improvements. We expect this to be ready early March.